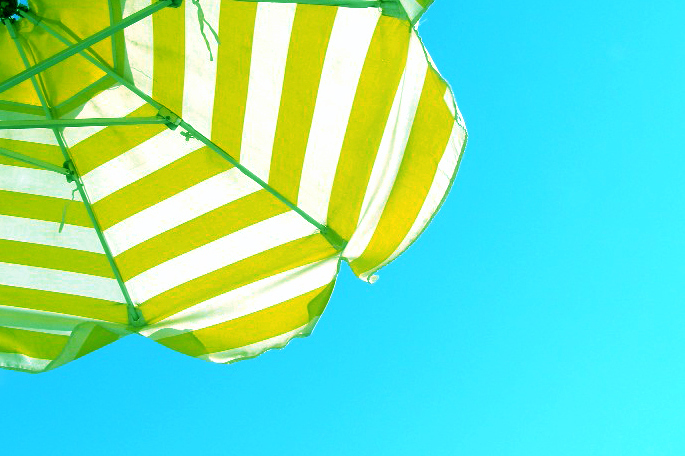 Surrendering your summer plans to God. Summer is one of my favorite seasons! Sunny weather makes everything so much brighter. I love wearing beautiful summer dresses and having my hair blown by the warm wind. I especially love summer nights when the fireflies are out and the air is sweetly scented. We all have our own ideas about what the perfect summer vacation looks like. To some, it may mean taking a road trip across the country. To others, it could mean sitting long hours in a lounge chair at the pool on a daily basis. What are your plans for this summer? Are you planning on finding the best paying job you can possibly find and maybe even working overtime so you can make as much money as possible? Or, are you planning on going to Europe and visiting places you’ve never seen before in hopes of finding that one thing you’ve been looking for? Maybe you don’t have any plans for this summer and you know you’ll end up wasting precious hours on entertainment, such as watching TV/movies or living on Facebook. Most of us already have our plans made by now and we don’t usually take a second look at them because they just seem so right. I mean, we’ve worked hard all year. Of course we deserve to have summer all to ourselves, don’t we? I used to live by this mindset summer after summer, but God started speaking to me recently about a different way of looking at my “free” time. God knows we need to relax and to take some time off but summer vacation shouldn’t be all about ourselves. God is always at work and He is looking for people who are willing to give up even their summer for the cause of Christ. Maybe God’s plan for you this summer is not necessarily going overseas on a mission trip (my intention is not to suggest that unless God truly is calling you to that) but I am confident that He can and does desire to use you right where you are, but in order to be used- you need to seek Him first. Summertime is such a perfect opportunity to grow closer to God and to devote the extra time we have to tuning to the voice of God and seeking His will for our lives. Instead of considering it our right to sleep in every day of the summer, we should allow God to be in control of the way we spend our time on a daily basis. Sometimes that means leaving early from a social event or turning our cellphones off after a certain time so we can go to bed early and not feel the need to sleep our mornings away. Mornings are such a refreshing time of the day and we should spend them at the feet of Jesus, fueling our desire for Him and asking Him to give us His desires, His eyes, His heart. As the summer sun burns with heat, the heart of God also burns with the flame of His Holy Spirit, and He desires to set us ablaze with His fire. There is so much of God that can be discovered during a focused summer vacation! There are so many of His desires that He longs to share with us if only we will dedicate our time to seeking Him! God has a plan for you this summer, a plan that goes beyond the selfishness of shallow pursuits- yet He won’t be able to accomplish His plan unless you completely surrender your summer to Him. Even if you’ve already made plans, know that God can still use you anywhere you are, no matter what you might be doing- as long as your heart is fully surrendered to Him. Keep your eyes open to the countless ways you can further His kingdom if only you have an open heart that is always seeking to do His will. Don’t settle for living your summer according to the pattern of this world but rather choose to allow God to give you the strength to live according to His pattern, following His standard. While it is true that there is a time to rest and a time to work, we can’t allow our relationship with God and our service to Him to become inexistent during summer. If we sow idleness and compromise, we will reap idleness and compromise. It is also important to keep in mind that we need to prepare for the fall, no matter what our schedule will look like then. If we aren’t seeking God by spending time with Him daily now, we won’t have the strength and wisdom necessary to start a new season in our lives once summer is over. Let’s fix our eyes upon Christ and make Him our priority this summer! We will miss out on so much joy and purpose if we neglect surrendering every moment of our summer to God- seeking Him in prayer, deepening ourselves in His Word, and pouring out our energy into serving Him. The possibilities are endless when He is in control and He is able to accomplish more than we could ever imagine! Are you willing to let go of your own plans and allow God to script your summer vacation? Surrendering your summer to God doesn’t mean missing out on having fun or never having a chance to unwind. It rather means experiencing the beauty of a balanced summer lifestyle in which God is at the center and everything falls in its proper place as a result. Yes, you can have fun, relax, and enjoy summer if you live a summer fully surrendered to God; but these pursuits won’t take over the most significant part of life- intimacy with Christ. They will prove to be just a small reflection of the greater fulfillment and satisfaction that we can find when it is no longer about us but about God. Live a summer that will bring honor and glory to His Name!